It’s that time of year where the heating gets turned up, fires are all aglow and we reach for our cosiest outdoor wear. Why not reach this year for the perfect Christmas Cape and spread a fashionable cheer? Step back in to a 1940’s British, elegant time warp and find yourself decadently wrapped in a snug, warm cape. I can promise you, you will not only feel dressed, but you will feel magically divine. 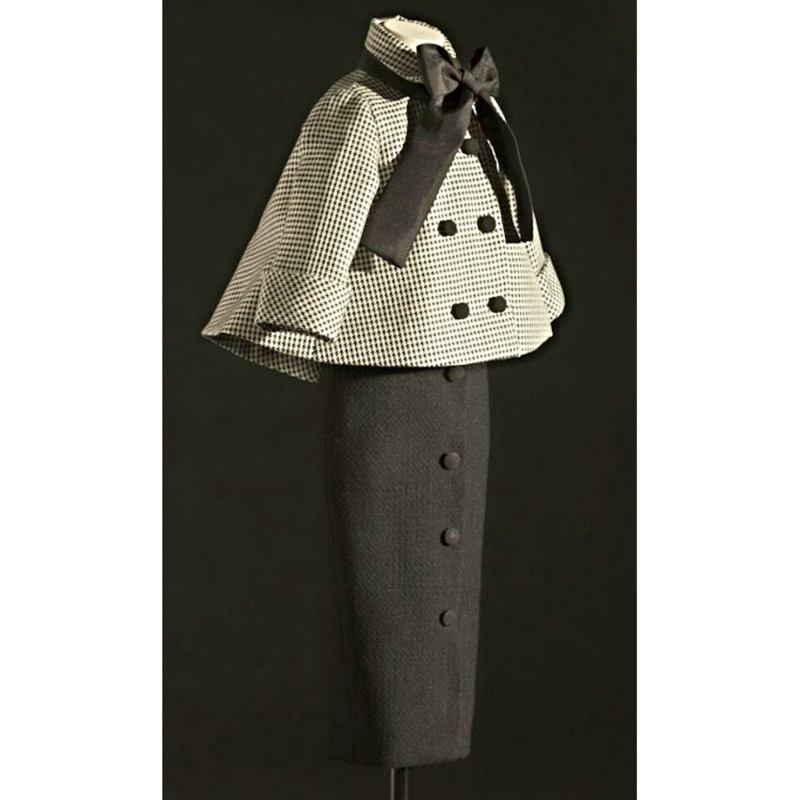 Above photograph: Christian Dior Haute Couture, circa 1948. The beauty of the cape is it can be worn with virtually any outfit; dresses, jeans, pants of varying lengths, pencil skirts or a-lines. The list is endless. I have a tendency to feel draughty especially out here in California where, despite the slightly warmer weather for this time of year, the air-conditioned- ridden restaurants make me shiver. I simply sling my cape over my shoulders and problem solved Sherlock. Speaking of Sherlock, Holmes knew a good cape when he saw one! 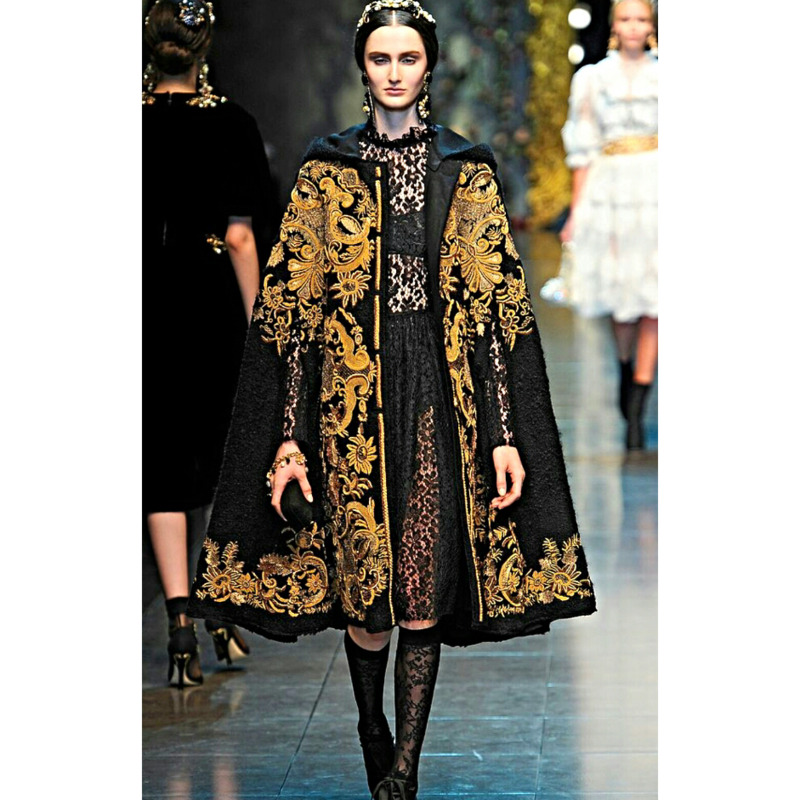 Above: “Grand Duchess of Russia” gold embroidered velvet cape by D&G. Go plain with a bold, neutral color if the adventurous, Italian, craft makers don’t quite bring out your confident side. 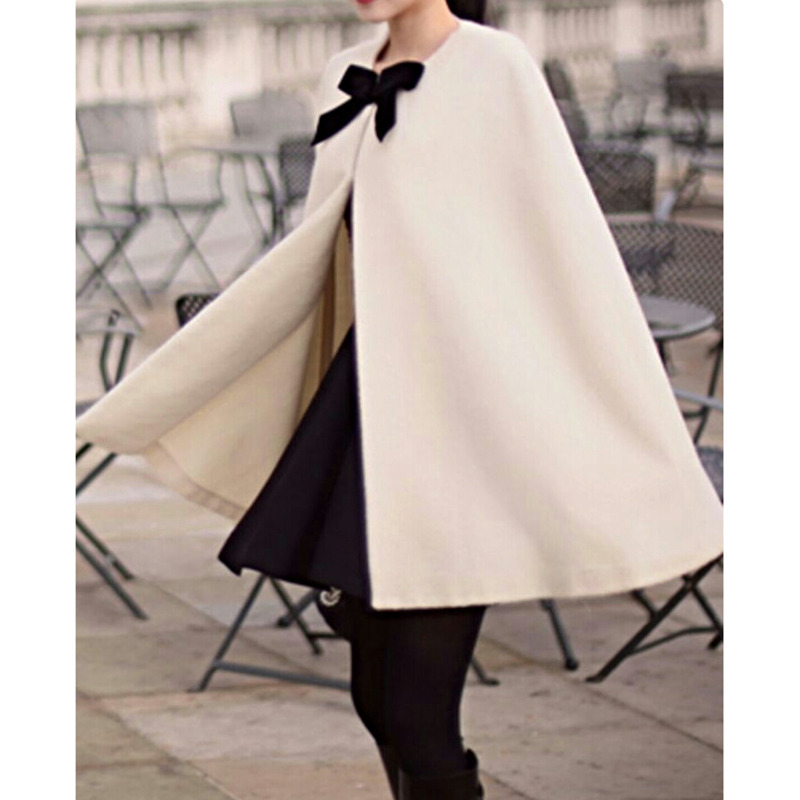 Opt for this darling beige woolen cape (above) with bow knot for a mere bargain of $55.99! Feel like making a statement at the work Christmas do? Then do. An exquisite knit cape is all you need. Dust off some dark stilettos with sheer stockings and let the rest do the talking. Above: Knit cape by Chloé, available from Chloé boutique, Los Angeles, CA. From vintage couture boutiques to modern day online steals, having a cape is a must and not being able to source one isn’t an option my dear readers. With Christmas around the corner and your social calendar getting fuller, take your inner fashionable goddess on a spree and indulge.